It’s officially spring in the UK, so what better time to start looking forward to all of the wonderful things that accompany a bit of sunshine? Whilst we begin to think about dragging the barbecue out of the shed and doing away with coats and jumpers until September, it’s important to remember that the warmer months bring risk in the form of sun exposure. 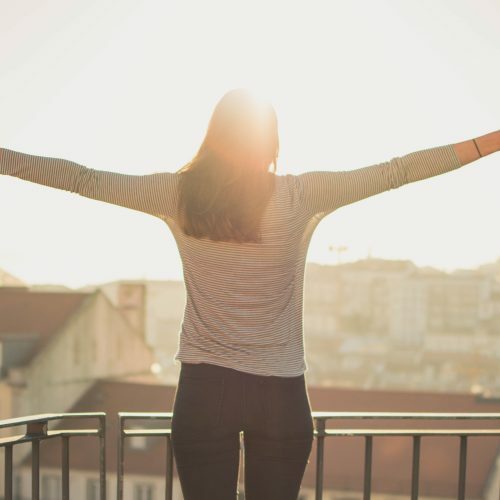 The sun is at its strongest in the UK between late March and early October, and whilst it’s important to top up your Vitamin D levels, it’s also crucial to exercise caution in order to avoid the serious damage the sun can cause. Here we’ve compiled some top tips from the NHS in order to help keep you safe in the sun this spring and summer! The sun is at its strongest during these hours, and you are at risk of burning, even when it’s cloudy. If you spend a lot of time outdoors it’s important to protect yourself with suncream, a hat, and appropriate clothing. It’s also worth taking regular breaks, and getting in the shade whenever you can. Suncream is an absolute necessity during summer, especially if you have white, pale or light brown skin. The NHS recommends choosing at least SPF 15, and four-star UVA protection. It’s also important to check the expiry date of suncream – typically they have a shelf-life of two to three years. Visit the NHS page on moles for more information on changes to look out for. As the UK heats up, you’ll begin to dehydrate faster. The Eatwell Guide suggests we consume around 6-8 glasses (1.2 litres) of water each day to stay topped up, but if you’re sweating a lot, this requirement will increase. It’s important to stay ahead of the game, so try to drink before you get thirsty, and stay topped up throughout the day. Try to avoid over-exerting yourself in hot environments, and if you start experiencing these symptoms it’s important to begin cooling down immediately. Visit the NHS website for more information on heat exhaustion. Sun protection is important for all UK employees, including both indoor and outdoor workers. If you’re interested in educating employees on the benefits of staying safe in the sun this spring, get in touch! Our Wellbeing Roadshow offers a variety of zones to help staff stay safe in the sun, including nutritional advice, mole checks, and cancer awareness zones. Call us on 01384 877855 or email enquiries@newleafhealth.co.uk for more information.